Netflix has released the official trailer for their upcoming original series, The Curious Creations of Christine McConnell. Wickedly talented baker and artist, Christine McConnell welcomes you into her terrifyingly delicious home to create delectable confections and hauntingly disturbing decor with the help of her colorful collection of creatures. In a twist on a familiar formula, her friends are not humans, but rather wisecracking monsters, including a werewolf, a deranged raccoon, and a Chihuahua-mummy. “This is our home, and it’s a place where the strange and unusual are safe and welcome,” McConnell explains in the teaser. 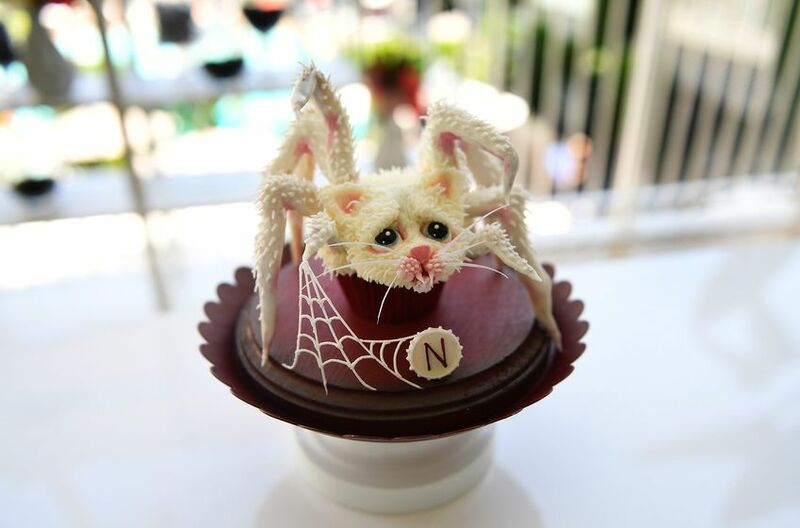 The creatures in this new series were created by Henson Alternative, the wing of the Jim Henson Company that focuses on “content created specifically and exclusively for grown-ups.” On the pastry side of things, it appears that McConnell will be making elaborate treats like edible tarantulas, chocolate shrunken heads, and gingerbread haunted houses. 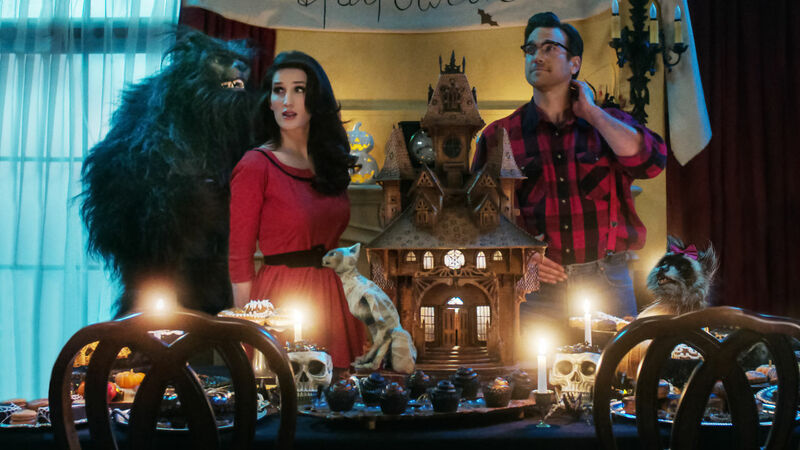 The series stars Christine McConnell as herself, Mick Ignis (Stan Against Evil), Adam Mayfield (In Tune with You), Michael Oosterom (Sigmund and the Sea Monsters), and Colleen Smith (Selfie). Executive producers include Brian Henson, Vince Raisa, Kirk R. Thatcher, and co-producer Marius Vilunas. 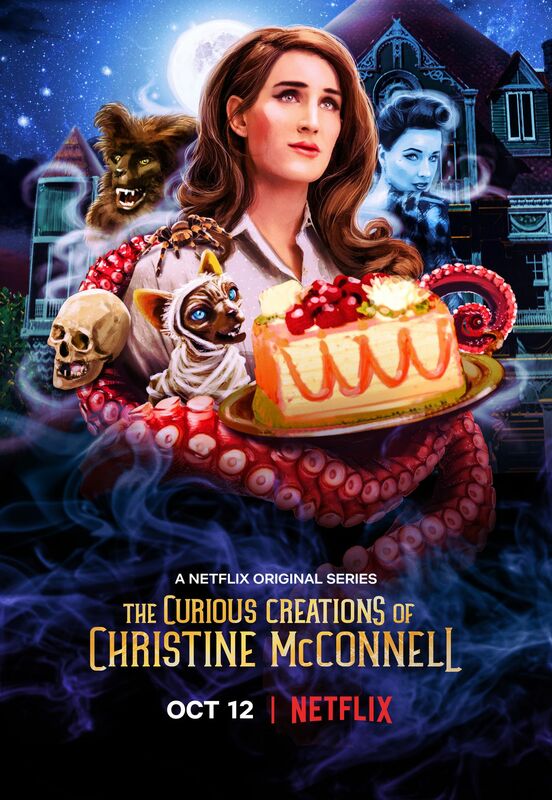 All episodes of The Curious Creations of Christine McConnell will be available on Netflix on October 12.